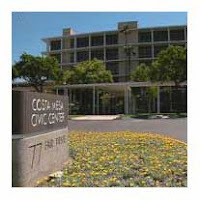 This afternoon the City of Costa Mesa sent out a press release announcing that the proposal from the Orange County Fire Authority to provide fire and related services to the city is now available for viewing on the city web site. I could not find it, but have since seen a copy and will give you a quick summary here. The proposal should be available to you soon. First, let me say that I'm not a fire safety expert by any stretch of the imagination. And, despite some interesting numbers on the proposal, there are still some expensive issues to be negotiated between the OCFA and The City - like the required improvements to the fire stations, for example. The OCFA proposal presents three options. They also presented the current costs of our fire operations for comparison. 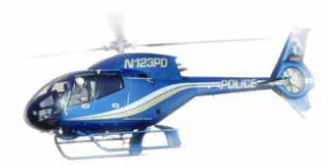 That number is $20,255,086 with a staff deployment of 29 personnel. The proposal will include one-time start-up costs of either $729,444 or $816,106, depending on the option chosen. Regardless which option considered the proposal transfers 81 sworn and 2 non-sworn personnel. Increases are capped at 4.5% annually. Facilities will be leased to the CFO for $1.00 per year. That's the quick version of the 52 page report. I suggest you check the city web site for the actual report and do your own analysis. In my view, much still needs to be done before anyone can make the best decision for our city in this matter. As the old saying goes, "The devil is in the details". It's going to take some serious analysis beyond simply the numbers to determine if this a good deal for our city. Most cities in Orange County receive their fire protection from the Orange County Fire Authority. 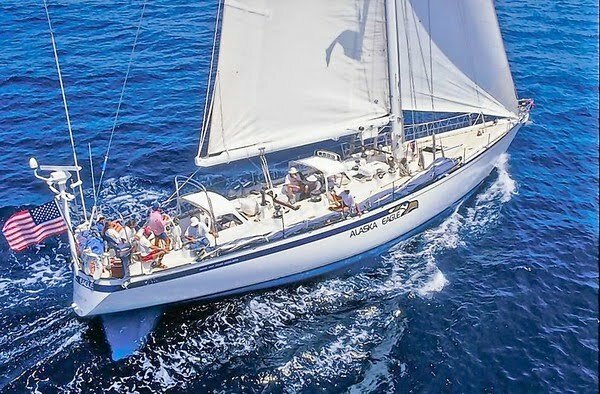 In case you've missed it, a group of eleven intrepid local mariners have launched themselves on the adventure of a lifetime. 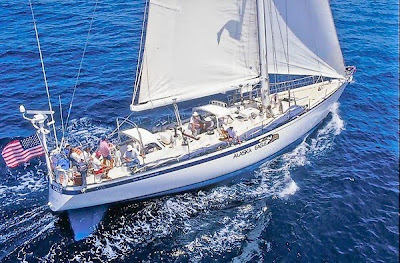 Earlier this month these hearty souls joined the Alaska Eagle, Orange Coast College's 65 foot aluminum sail training vessel, for one of seven legs of a trip that began last October and will end back home in Newport Harbor in June. On this leg the crew will head for the sub-Antarctic island of South Georgia. You can follow the adventures as chronicled by Brad Avery, director of OCC's School of Sailing & Seamanship, in his weekly reports in the Daily Pilot. The first three can be found HERE, HERE and HERE. Just a little reminder. 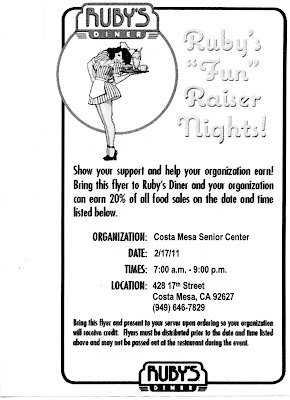 Thursday (today or tomorrow, depending on when you're reading this) the Costa Mesa Senior Center will be holding a fund raiser at Ruby's Diner on East 17th Street from 7:00 a.m. -9:00 p.m. Print and take this flier with you and present it to your server and the Senior Center will receive 20% of your bill as a much-needed contribution. NEW COMMISSION SEATED OK, so we now have a full Planning Commission. Last night the final three were sworn-in, so now Colin McCarthy, Sam Clark, Rob Dickson, Ed Salcedo and Jim (Sancho) Fitzpatrick will guide the planning process for the next two years. The election of officers was an interesting sideshow. Clark, as current Vice Chair, conducted the proceedings to elect a chairman. Fitzy nominated McCarthy, then Clark nominated himself and found himself odd-man-out when the vote was taken. 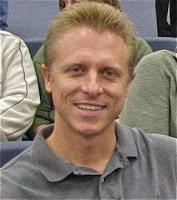 McCarthy was elected Chairman, 4-1. Clark voted NO. Then McCarthy moderated the selection of the Vice Chairman. Dickson nominated Clark and McCarthy nominated Fitzy. 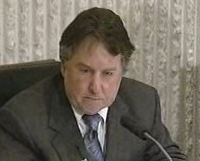 When the Clark vote was taken he was elected 3-2, with McCarthy and Fitzy voting NO. This was the beginning of a tough night for Fitzy. Clark is one of the last vestiges of the old "Improvers" left in government and the intention of the NEW Jim Righeimer-led power structure is clear - to shove him aside. 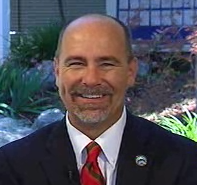 Steve Mensinger already let him know where he stands by appointing him to the short term seat last month. 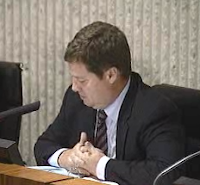 When it came time for the consideration of the first public hearing on th e Irvine Company property at the Pacific Arts Plaza (formerly Two Town Center) Dickson had to excuse himself because he had a conflict - his employer has a business relationship with the Irvine Company. 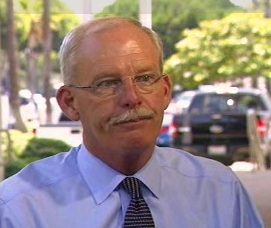 As he was about to depart Fitzy stopped him and wanted clarification from Tom Duarte, the Assistant City Attorney. Duarte confirmed Dickson's conflict of interest. Fitzy got a very furrowed brow and, once the item was read into the minutes, asked for 30 seconds to confer with Duarte. McCarthy, instead, called a five minute break. When they returned Fitzy excused himself - seems he also had a conflict. This was very strange, indeed. One had the impression that Fitzy was deep in introspection, contemplating other instances where he may have conflicts in the past. We'll never know. ABLE, 2 COPS, HATCH AND MENSINGER'S "CEO"
Tonight I expect there will be a packed house at the City Council meeting as we hear, among other things, about the demise of the ABLE helicopter program, the abandonment of two open police officer positions, Tom Hatch's contract, executive severance and Mensinger's hair-brained scheme to begin calling the City Manager the Chief Executive Officer (CEO). This week is going to be a very interesting one for the City of Costa Mesa. Monday the new Planning Commission meets for their first meeting of this tour and will elected a new Chairman and Vice Chairman to guide it for the next couple years. Tuesday is the second City Council meeting of the month with lots of watershed issues on the agenda. Following the election of officers the Planning Commis sioners will hear staff reports on Code Enforcement Updates (HERE); 2010 Annual General Plan Review(HERE) and the 2009 Development Phasing and Performance Monitoring Program(HERE). After that they will hold four public hearings that include a review of the Development Agreement for Pacific Arts Plaza master plan(HERE); a request for a time extension on an East 23rd Street condominium development(HERE); a time extension of a project at 3003 Newport Blvd. (HERE) and, the most interesting one of all, former mayor Peter Buffa's pitch for the Sutra Lounge(HERE) at Triangle Square to abandon it's food service and convert itself into strictly a night club and booze dispensary. They'll wrap up the evening by hearing a staff report on Arterial Wall Standards(HERE) and discuss the 2010 Planning Commission Design Awards and Mesa Green Design Awards Selection(HERE). The City Council will consider many issues critical to the future of our city - many of them on the negative side of the ledger. Right off the bat, so to speak, the council will consider a proposal to dramatically increase fees charged and new fee categories for the rental of utility fields and ball fields. (HERE) This may generate a lot of interest among the various user groups since they will be hit hard by these new fee increases. They then vote again on the previously approved "cost sharing" agreement(HERE) with the local safety and miscellaneous employee plans. There's no way they will vote to disapprove this issue - it would be much too costly for the city at this juncture and breaks faith with the employees of this city. If passed this will require an "urgency ordinance", as well. 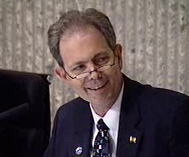 The council will then vote in open session on the employee agreement with new City Manager Tom Hatch, which will take effect on March 5, 2011, one day after Allan Roeder retires. You can read the staff report (HERE). In a nutshell, Hatch will be paid an annual salary of $207,288 and will have a package, including the salary, worth $274,707. 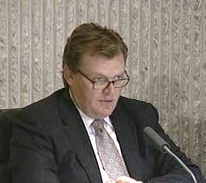 His compensation will be at a step lower than what was budgeted for Roeder. And before everybody goes nuts about these numbers, based on recent City Manager salary numbers around the county these look just right, if not slightly low. New Business will include many items of extreme importance to the future of our city. I suspect several of these items will generate a lot of discussion and have very significant community input. Council will consider a staff request for modification of the current field use and allocation policy, (HERE), to include specific "rest times" for certain playing fields. The council will consider a $200,000 budget adjustment so the city can hire a consultant for the city-wide organizational review(HERE). Having watched Mayor Pro Tem Jim Righeimer in recent meetings, I assume he's going to be looking for someone who will affirm his belief that we can outsource every city function and thereby avoid all this nasty discussion about pensions. We'll see. Based on the staff report (HERE), the council majority will likely vote to dissolve the ABLE helicopter program as soon as possible. I watched the discussion during the recent study session and have read the new staff report, which includes new information in an attempt to save ABLE and/or offer alternatives to flat-out shutting it down. I think ABLE is toast at this point and I, for one, will not sleep well knowing this marvelous, forty-year law enforcement tool is no longer available to us. T he council will almost certainly follow through and eliminate two police officer positions that have been open for several months. (HERE) This move, plus the dissolution of ABLE, certainly does raise questions about this council's position on public safety in our city. This is a strange one. (HERE) Unelected councilman Steve Mensinger apparently feels it's important for our city council to proclaim that local businesses should hire Costa Mesa youth. Clearly, he has way too much time on his hands these days - more on that later. Is it REALLY necessary to issue this proclamation? Doesn't the staff have plenty of real work to do these days without this kind of fluff? Good grief! 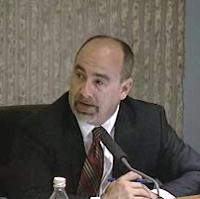 Unelected councilman Mensinger, in another example of a guy with too much t ime on his hands, ginned up this scheme to change the title of the City Manager to Chief Executive Officer. (HERE) In my view this is a bit of superfluous fluff designed to give Mensinger a reason to say, "Hey, look what I did!" instead of being an actual, concrete improvement to anything in our city. This is unnecessary and, to use an Allan Mansoorism, silly. What are they going to call the new Assistant Tom Hatch hires to replace himself, Assistant Chief Executive Officer? C'mon, Steve. There are many more important issues to be considered instead of this bit of window-dressing. Just leave it alone, for goodness sake! Geez! AND, ONE MORE THING... NO MORE "ANONYMOUS"
In the past couple weeks I've permitted a few comments labeled as "anonymous", contrary to my stated policy and belief that comment threads are just to difficult to follow if we have a couple people using that moniker simultaneously. Since it is EASY to conjure up a moniker to use when commenting here I assume those who choose to use "anonymous" are just plain lazy. So, after trying to give this situation a chance to work, we're back to the original rule - no "Anonymous" comments will be published. I'll just reject them as they arrive. On the off chance that you simply cannot figure out how to do it, send me an email and I'll reply back with specific instructions - I cannot believe that anyone smart enough to read this blog can't figure this out? 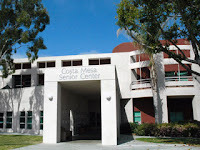 Our friends at the Costa Mesa Senior Center are having another of their yummy fund raisers to help them raise money to continue providing outstanding Senior Services to us older folks in the community. This one is on Thursday, February 17th, at Ruby's Diner, 478 17th Street, Costa Mesa, 92627. 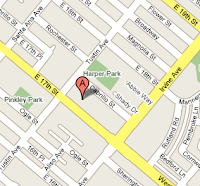 (949) 646-7829 from 7:00 a.m until 9:00 p.m. 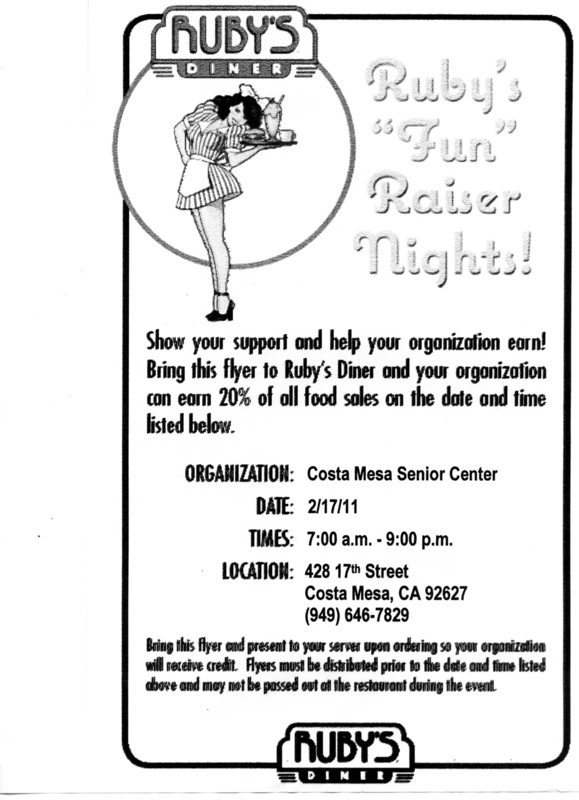 If you buy a meal there during that time AND PRESENT THE FLIER I've made available to you at the end of this post 20% of the food sales will be donated to the Costa Mesa Senior Center. 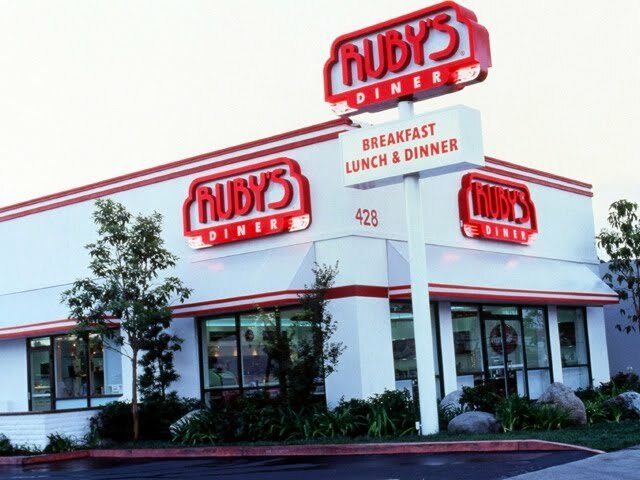 So, scoot on over to Ruby's on Thursday for a delicious meal - breakfast, lunch or dinner. Have one of their wonderful burgers and a shake. Try my favorite dessert - a piece of apple pie with a slice of cheddar cheese melted on it. My mouth's watering as I type the words!